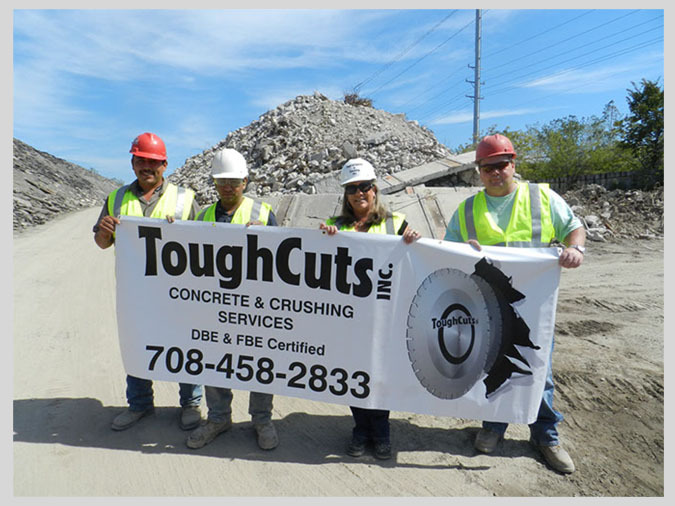 Tough Cut have been a leader in the process of concrete Joint Rehab, Saw and Seal of Asphalt Overlays, Bridge Deck Grooving, Green Saw New Construction and Maintenance Sealing on Airports and Highways. We provide the hot pour method sealant. 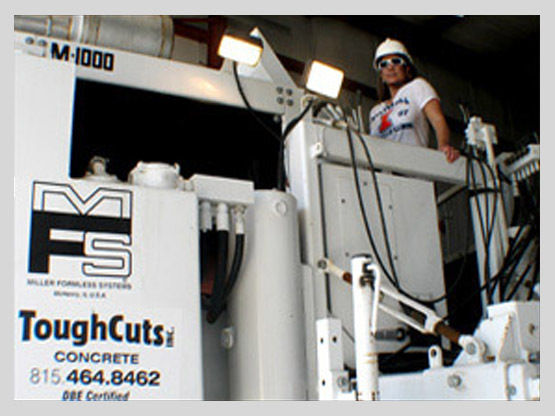 We have enough crews and equipment to service the largest jobs and the flexibility to meet the smaller needs as well. 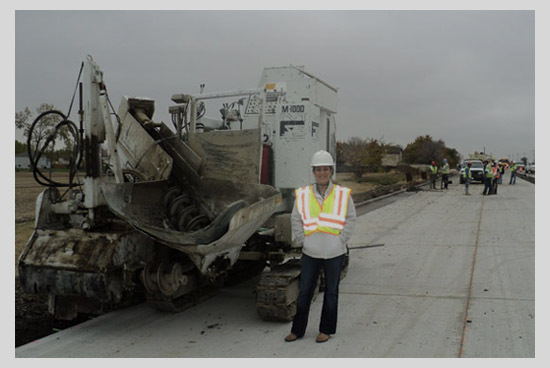 As of March 8th 2006, Christine McClellan, Owner/President, was certified as a Disadvantaged Business Enterprise (DBE) and as a Women Business Enterprise (WBE) with the Illinois Department of Transportation. She is also certified as a Disadvantaged Business Enterprise (DBE) with the Indiana Department of Transportation and recently certified (DBE) Florida Department of Transportation. As of November 2,2016, she was also certified with the (MWRD) Metropolitan Water Reclamation District of Greater Chicago as a WBE. For the people who saw and drill on a daily basis, being productive is not just a matter of an individual's size and strength. More than anything, it's about getting the job done properly by utilizing proper cutting techniques, tools and equipment designed specifically for the job. Please feel free to contact us for a FREE quote on services or for more information on Tough Cut. We look forward to the opportunity of serving you.